You may be looking to ditch your heavy foundation for a lighter option, but still want your face to have a polished look. Beauty balms or BB creams, can be used as alternative to hide imperfections, but still allow natural beauty to shine through. A BB cream, also known as a beauty balm or blemish balm, is a multi-tasking cosmetic meant to be used in the place of several beauty products. 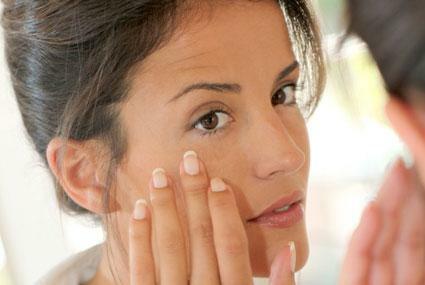 BB Creams can replace moisturizer, primer, concealer, foundation and sunscreen. Anti-aging properties are also included in some brands. BB creams that focus on correcting the tone of skin - like neutralizing redness - are referred to as CC creams (or correcting creams). BB creams were invented in Germany by dermatologist Christine Schrammek in the 1950s to help her patients' skin heal after receiving facial services such as facial peels. The cream was made to nourish and protect sensitive skin, while hiding the discoloration that followed each service. BB creams carry many benefits. They can protect the skin from the sun, reduce the appearance of wrinkles, hide and heal blemishes, even out skin tone. Because these creams are multi-purpose products, they can also help to cut down on time spent in the mirror. Although BB creams are marketed as being an all-in-one product, they do have a few short comings. Since they are only light to medium coverage, if you suffer from severe dark blue or purple under-eye circles or hyperpigmentation on certain places of the face, you may still need to apply a concealer to cover those trouble areas. If you're acne-prone, BB creams will only cover blemishes, not heal them. According to the Daily Mail.com, Shakila Bik, Garnier's scientific adviser, said that their BB cream is more so focused on "soothing" the skin, rather than treating acne. Mac Prep and Prime BB Beauty Balm SPF 15 can be worn as a primer or underneath foundation and set with a powder. On the Temptalia blog, it was referred to as an 'illuminating primer', which helped to keep makeup on for at least ten hours. Vogue recommended this product as one of the ten best BB creams in July of 2013. Estee Lauder DayWear Anti-Oxidant BB Creme SPF 35 is great for all skin types and is lightweight. In 2013, this product was selected as an Allure Best of Beauty award winner and was also featured in a list of the ten best BB creams for Prima. Garnier BB Cream Miracle Skin Perfector is a 5-in-1 cream that addresses problems like dullness and dryness while using mineral pigments to tint the skin. According to statistics on the Garnier site, 93 percent of respondents reported that after only one use "their skin had a healthy glow." On the Pretty Gossip blog, the product was described as having an 'airbrushed' appearance after being applied. Maybelline Dream Fresh 8-in-1 Beauty Balm Perfector has an SPF of 30 and brightens and hydrates skin. 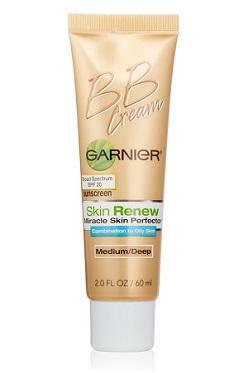 This drugstore BB cream has a wide range of colors, which is great for those whose skin tones are deeper shades. This product was featured in a list of top BB and CC creams for Allure Magazine. The Glamorous Gleam blog indicates that this product blends seamlessly and describes it as being worth purchasing again. 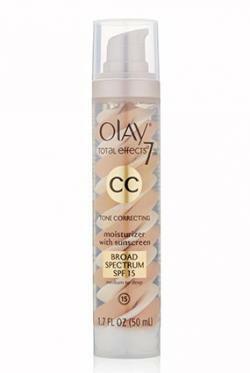 Olay CC Cream - Total Effects Tone Correcting Moisturizer with Sunscreen Broad Spectrum SPF 15 helps reduce the appearance of fine lines and wrinkles. It also improves the texture of the skin and minimizes pores. In March of 2013, according to Nielsen research, it was the top selling CC cream in America. Loreal Age Perfect BB Cream Instant Radiance SPF 20 is made specifically for mature skin. It aids in diminishing age spots through the use Vitamin C and helps to provide skin with a smooth, younger looking appearance. IMAN Skin Tone Evener BB Crème SPF 15 comes in six colors and is paraben-free, though it is not recommended for people who suffer from acne. Acai and Grape Seed help to even out blotchy skin while almond and aloe hydrate. The product was a 2012 Huffington Post Beauty Winner and a 2013 She Knows Beauty Award Winner in the 'women of color' makeup category. On the Chic Chocolate blog, the product is referred to as a 'keeper' and is praised for being able to hold up throughout a long day. 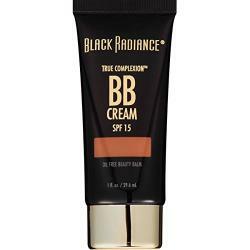 Black Radiance True Complexion BB Cream SPF 15 is a cream made specifically for people of color, with the darkest shade being Coffee Glaze. This product helps to conceal dark spots without looking caked-on. It is also very affordable and can be found at your nearest drugstore. After deciding the right BB or CC Cream, now comes the application process. Much like applying foundation, there are many ways the creams can be applied. Fingertips: If you're going to use your fingers, make sure they have been freshly washed. Apply cream to your fingertips and proceed to rub the product on your face as if rubbing in moisturizer. Sponge: When you using a sponge, first make sure it is damp so the product is not directly absorbed into the sponge. Place cream on the sponge, then rub it into your skin. It is best to use a cosmetic wedge or beauty blender sponge to get underneath the eyes and around the nose. Brush: A brush can be used apply BB cream. As with a sponge, make sure the brush is slightly damp. Dot cream on your face, then use the brush to buff the cream into the skin. Are BB Creams for You? Using BB creams is a great way to look made up without piling on too much makeup. Each time these creams are applied, they continue to help the skin and improve its appearance. Most beauty balms are affordable, allowing consumers to experiment and to learn which products best compliments their skin.